An El Monte man suspected of being the “Golden Years” bandit was in FBI custody, officials said Tuesday night. William McCormick Jr., 59, of El Monte, took the charge after he was arrested on suspicion of domestic violence earlier this month. 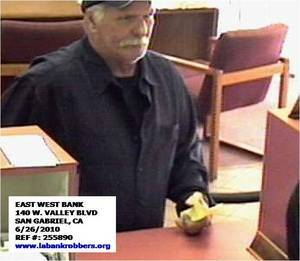 He is suspected of robbing banks in Alhambra, Rosemead and Bellflower. This entry was posted in 211 and tagged 211, El Monte, Golden Years Bandit by Frank Girardot. Bookmark the permalink. One down and more popped up, no end to ex-con bank robbers. 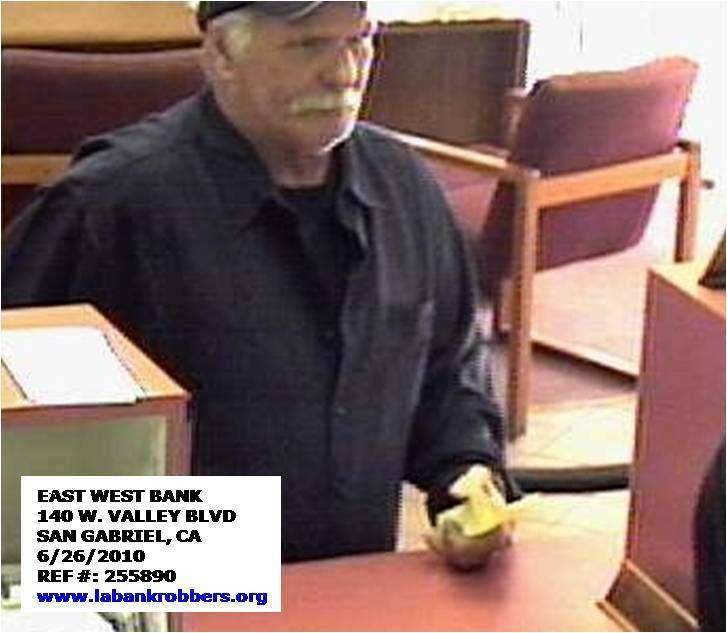 Photo posted on bank robbery website http://www.bank211s-mike.blogspot.com Free Public Safety Service. Manhattan Beach. Police are trying to identify a bank robber wearing a green “Mark Sanchez” New York Jets jersey. The man handed a note demanding money to a teller at Chase Bank, 201 Manhattan Beach Blvd. at 8:50 a.m. Monday. The teller handed over cash. The balding man is white, 60 to 65 years old, 5 feet 8 inches tall, with a heavy build. He had slicked back white hair.